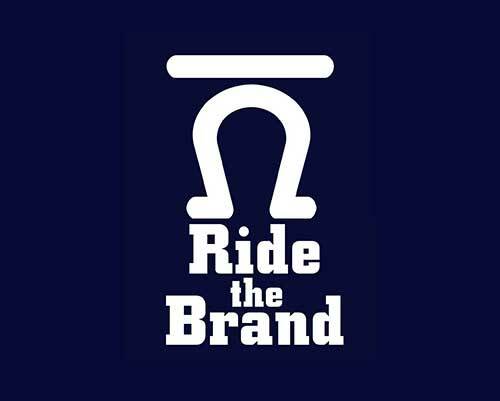 Reed – 10 yr old john mule, rides the best! 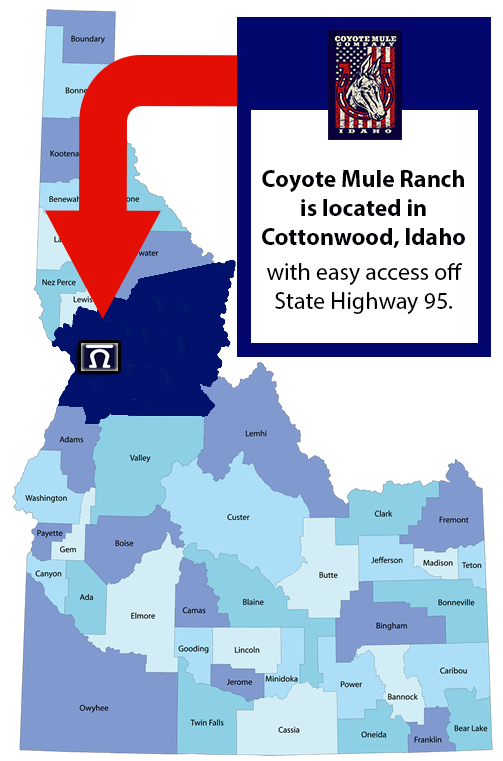 This is a solid riding mule. He can go in the arena and do a complete trail course or head to the top of the mountains in the front or in the back of the line. 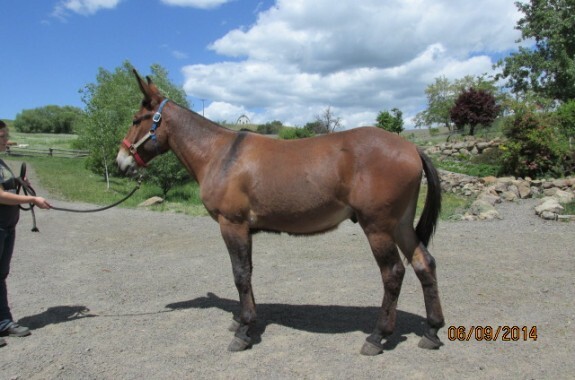 This all around mule has a good neck .....Follow along for MORE Details & Photos. 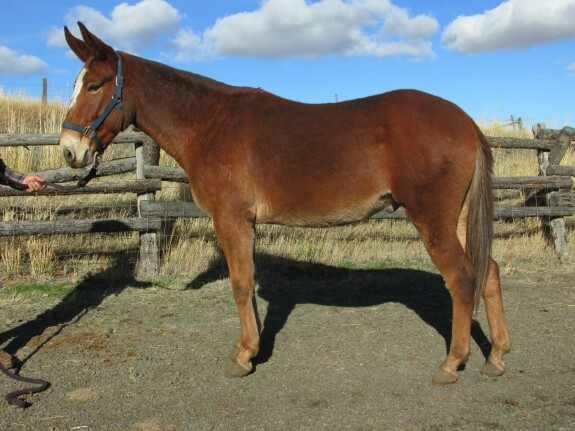 Marty – 6 yr old quarter type, 15 Hand john mule, rides and packs. 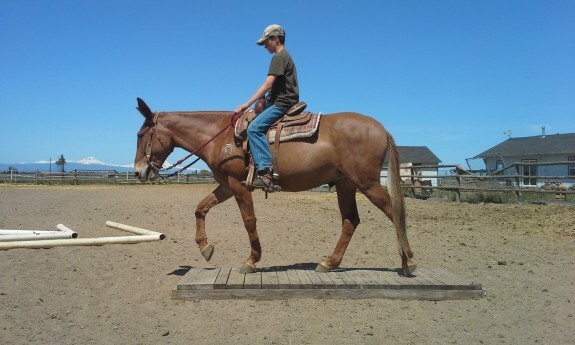 We raised this mule from a baby and have taken the time slow and easy for a solid mount. He has some light packing experience in the past years and now extensive riding by Matt Fournie of Bend .....Follow along for MORE Details & Photos. This mule is not for everyone, but with the right person will be priceless. She is not herd bound, and is mountain tuff. 20 Miles a day is just a walk in the park for this gal, long days and long .....Follow along for MORE Details & Photos. 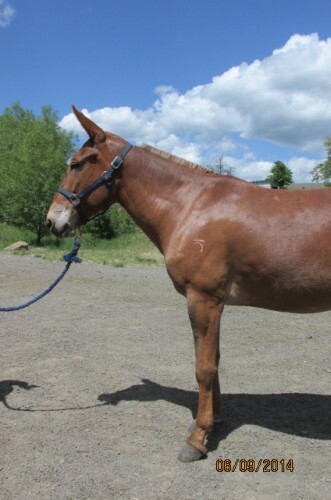 Roy – 3 yr old Bay John Mule, getting ready to ride! One of our favorite youngerst, this guy was born gentle, willing and wanting to work. All ground work has been done on this mule, he ground ties, saddles, ground drives with a snaffle bit. He know .....Follow along for MORE Details & Photos.